Submitted by Quest-News-Serv... on Sat, 04/13/2013 - 17:50. Tom Leneghan has asked me to forward this again to limited number of emails he can send it to from his ISP. Taking into consideration everyone's thoughts and opinions, I am not sure that there is much of an issue with the trees named as replacement trees. The trees that currently hold ground on Professor are blooming mature trees that have been there for quite awhile . They are part of the community, have character and charm. Through age and grace, they enhance the neighborhood. What is it that they say: "if it ain't broke, don't fix it." The other aspect of this streetscape project is that no one seems to have been involved in the ghostly outreach process. Clearly, someone whould have heard about it. Further, the trees have been referred to as diseased, damaged and nearly dead. Yet, there are no records, reports from experts supporting the diagnosis. Decisions and trees were selected on the basis of visual inspection - no actual testing. Food for thought is - if 20 out of 50 plus trees on Professor are elderly and/or ill, it is a bit questionable that it is only the trees in way of construction are marked for death? Is it reasonable to believe that the other 30 plus trees are all happy, healthy specimens? Is this another "Frank Giglio Process?" I am in agreement with Elizabeth and others - this is the stupidiest move ever on the part of TWDC, although I have witnessed some doozies. Thank you Dan for spending the time to research these tree types. My opinion is that a plan should be developed for the entire landscape design from Fairfield / West 10th all the way straight through to Starkweather on Professor. Including a report from the City lead arborist. I think that can give everyone more informed data to rationalize support or non-support. I spent a good bit of time last night on reviewing the original site plans from years back to see if there was any details of tree removal. No specific language of removal was used nor was there any details within the legend. But what was clear albeit rudimentary was that you could tell that old trees were staying past a certain point and green circles were drawn close in to the intersections. In the funding needed breakdown it speaks about landscaping restoration, plantings. etc. The only statements for removal pavement and curbs, and fencing. This was listed under Demolition. It did not list trees for demolition. I feel when this was originally put to the community via Jim Mcknight this was not a topic and most stakeholders really did not know the removal was happening and it became very reactionary. but also review the detailed plans for the ODOT Vegetative Screening it shows in detail and within the legend what tree areas needed to be removed. Lack of detail here and strong concern of the business stakeholders involved need to be taken seriously here no matter what was decided 5 years ago or five months ago because generally they do not participate in a planning process because of having to run their businesses and night time committees or block clubs, and public meetings are hard for them to attend. I was called by councilman Cimperman last night, I look forward to hearing about the outcome on Monday's meeting about this matter at City Hall. I am hopeful that TWDC staff in representing the community will express the concerns raised at the public meeting this past Thursday. Again I have supported this plan from day one, loosing the opportunity and the funding really is not a option, but again it seems until recent outreach to the majority of stakeholders did not have a clear picture regarding this matter of tree removal. The main issue here from the start was the realistic turning radius's but I also felt and communicated this in the public meetings years ago was the detail of the p[lacing of strategic mid block valet zones to allow for the turning areas to be clear of backed up cars especially during busy times. It this was designed thoughtfully I felt it could rectify traffic jams and unsafe conditions for pedestrians. One other thing that has come to mind with the existing height of the trees now is that these trees also provide as noise buffers to the neighborhood for the patio noise from the bars and restaurants. At the meeting, a lot of time was spent discussing the trees that will be removed, less time on those that will be planted. Below is the best information I could find in a quick Google search on Cleveland Select Pears and the Frontier Elm. After the meeting I saw the spec sheet. There will be 21 elms to be planted. I don’t remember the Cleveland Select Pear numbers. There were at least 100 other plants specified in the drawings (various grasses and a variety of dogwood, plus, plus). Anyway, I thought this would help the group. Perfectly uniform tree... great for front yards. Your neighbors will think that you get ladders out in the middle of the night and prune this tree. It naturally grows in a tight, symmetrical shape. A semi-perfect oval. One of those miracles of nature. Its leaves fill in any gaps creating a near flawless surface area. You often see these as a featured front yard tree or planted to line roads and entryways. Best of all… every spring you’ll witness a long-lasting explosion of pure white flowers. An exciting development in flowering pear trees – Cleveland Pears are a great improvement over Bradford Pears and Aristocrat Pears. You get that perfect, symmetrical oval shape in a much hardier, stronger tree. The Cleveland Pear hybrid resists damage from extreme snow, ice and wind. Quickly grows to 30-40 ft. tall...an ideal size for small and medium sized yards. They are very pest resistant as well, so there’s never any maintenance. In the fall, the leaves turn from a deep summer green to a dark scarlet red. If you’ve always wanted a flowering pear for your lawn and landscape, the Cleveland Pear is by far the best variety. One of the most unique varieties I have seen recently is the Frontier Elm. The Frontier Elm appears to be a small to intermediate size tree, maybe reaching 40' and possibly as wide, although early growth appears to be narrower. It has small leaves, with a moderately strong central leader and upright, pyramidal growth. Of most interest is its reddish purple fall color, a striking change from the more typical fall yellow color of most elms. In the nursery, this is a fast growing tree with great visual appeal. It is easy to transplant, but unlike most elms, does not appear to be as drought tolerant. The literature claims this hybrid elm exhibits a high level of disease tolerance to the fungus that causes Dutch Elm Disease, and moderate resistance to the Elm Leaf Beetle in laboratory and field tests. In addition, the Frontier Elm appears highly tolerant to natural infections of elm yellows. This is an elm cultivar, released in 1990, with spring flowering (Ulmus carpinifolia) and fall flowering (Ulmus parvifolia) parents. So far no seed production has occurred. This tree is a sleeper. It has good vigor, tolerates poor soils, grows fast, but does not get big. It also has small leaves and no seed, resistant of insect and disease problems, with outstanding fall color. The Frontier Elm tree should be on everyone’s street tree list. 'Frontier' represents the first commercial release of an elm cultivar with spring-flowering (U. carpinifolia) and fall-flowering species (U. parvifolia) as parents. A small to intermediate sized tree with unusual red-purple fall color, this hybrid elm exhibits both a high level of disease tolerance to the fungus that causes Dutch elm disease and moderate resistance to the elm leaf beetle in laboratory and field tests. In addition, 'Frontier' appears highly tolerant to natural infections of elm yellows. Released 1990. Height and Width: 25 feet tall and 15 foot crown spread at 19 years under sod culture. Habit: Small to intermediate sized, single trunked, upright-pyramidal deciduous tree. Symmetrical shape. Faster growing than male parent, U. parvifolia. Bark: Smooth, grey-green with orange lenticels, not exfoliating. Fruit: Rarely flowers, no seed production observed. Tolerant of urban conditions. Performed well in diverse locations including California, Ohio, Oregon, Oklahoma and Maryland. Avoid planting close to buildings in areas with high elm leaf beetle populations. Slower growing in sod culture. Roots easily from softwood cuttings under mist, 3000-8000 ppm IBA, in 3-5 weeks. 'Frontier' has been propagated successfully by tissue culture. Excellent moderately-sized tree for use under power lines, along parking areas and highways, and in landscape plantings. 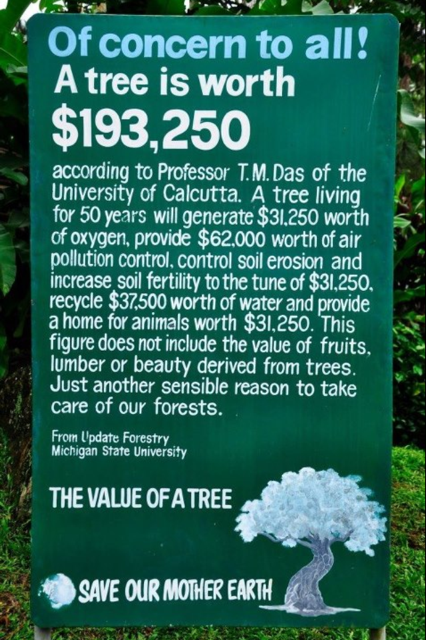 The TremontGardeners do not support the loss of mature trees if any other options are available. If Frank Gehry can design an entire museum in Biloxi, Mississippi, around the mature trees that were on that site (he called it "dancing with the trees"), the Tremont Gardeners believe this new Professor streetscape can be accomplished using the same sensitivity to the existing, mature trees. Tremont is a neighborhood where old and new co-exist side-by-side; we think this ethic should apply to the streetscape, with the mature trees celebrated and embraced as part of the plan. We raise funds to PLANT trees in Lincoln Park. We never thought we'd have to try to safeguard the existing trees on Professor Street. First of all, I do not live in Tremont but spend much of my leisuretime in this beautiful neighborhood. I live in Brooklyn Centre and am a founding member of Brooklyn Centre Naturalists. My comment here is strictly related to the cutting down of 17 mature trees. At first, I thought "oh no" more majestic sycamores and such being destroyed, but then I read that these are mature flowering trees which also provide shelter for migrating birds and attracts birds and butterflies to Tremont. Also, oh could "trees" not have entered a conversation about bump outs which should have certainly addressed "heat" from concrete and asphalt. Since the argument that the trees create a safety hazard cannot be used, it must be that it is more convenient and less costly for the plan being implemented to clear cut trees rather than "save" the already existing trees. Just because we CAN do something does not mean we SHOULD. Each time trees are "lost" in our neighborhoods they are replaced with trees that are often of inferior quality and, or there are fewer of them. Granted, 30 year old flowering trees may be reaching the end of life but remember that new trees will take much care-watering, correct planting, and proper staking. So these are my question and I am sure many of you will have the same. 2. What kind of trees will be planted? Our cityscape is changing from one with large, majestic trees to one of short, flowering trees. Is this what the people want? 3. Who will maintain these trees for the 3 or more years needed for them to become established? HINT: A plastic bag tied around the trunk that is not filled with water until completely empty doesn't do it. Thanks for letting me join the conversation. Local businessman Tom Leneghan asked me to forward this email out to you all regarding a very important meeting tonight about the Professor Ave. Streetscape. See message from TWDC below. As a person involved four to five years ago I do not recall any details mentioned about Tree removal. Again TWDC is basically a intermediary here and is nor responsible for the implementation of the plan or the money's this id county NOACA money utilized. Cory had told me yesterday that 17 mature trees will be removed along Professor and then be replaced with over 40 smaller trees within the new streetscape. Hopefully detailed plans will be available this evening. No matter what anyone's opinion over this is, I would hope you would attend and let your voices be heard. I feel this effects many stakeholders and residents in all of Tremont. The City of Cleveland has announced a public meeting to discuss the construction schedule, expectations and to address individual concerns with the project team. If you have any questions regarding this project's construction timeline or any other concerns, please call Cory Riordan at 216-575-0920, ext. 101. I own the art gallery at the corner of Professor and College in Tremont. Will you be at the meeting tomorrow night at Press Wine Bar (corner of Literary and Professor) at 6:00 pm at which Tremont West Development Co (TWDC) will answer residents questions regarding the street improvements along Professor Ave. which will begin next week. (see the initial NOACA 1/2011 announcement attached). There is a controversy regarding not only the plan and but also the approval procedure; a) 17 mature flowering trees along Professor are marked with yellow dots to be cut down within days (including 3 at the Treehouse), b) not one business that I spoke with along Professor was aware that cutting down these trees was part of the "bumpout" plan and c) the meeting is supposed to be about information and comments from owners and residents, but actually the contracts and specs are already in place...with no community review that I am aware of. In fact, the final specs are substantially different than what was originally announced. Many stakeholders, owners and residents along Professor want proper review and actual input...and that tomorrow night's meeting will not fall on deaf ears.